SnapNrack offers only two rail lengths (122 in. and 162 in.) to simplify and streamline the mounting process. The 122 in. rail is for 3 modules, while the 162 in. is for 4 modules. Any number of modules can be mounted by cutting and splicing these basic lengths. SnapNracks unique snap-in channel nuts are installable along the entire rail section, not just on the ends. Run module leads through the SnapNrack rail channels for better aesthetics and improved wire management. One wrench fits every bolt in the system. 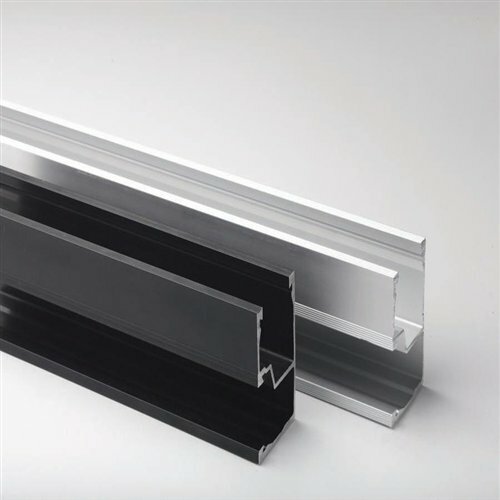 And theres no need to drill the rails to connect standoffs and L-feet, ensuring efficient installation and reducing labor time on the roof. 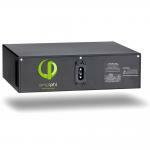 SnapNrack is compatible with modules from virtually any manufacturer. Sliding module clips install quickly and easily and ensure precise alignment. Mid-clips are a half-inch thick to keep the math simple. SnapNracks compact, efficient rail profile reduces material requirements and ensures a low profile installation on any roof. SnapNrack is engineered for durability and structural integrity in all environments with excellent seismic, wind, and snow-loading protection on all components. Builds integrity into every installation because SnapNracks simple vertical and horizontal adjustments ensure superior fit and array alignment. SnapNracks rain-tight metal flashing ensures absolute waterproofing at all roof penetrations. The SnapNrack PV Mounting System is a new line of solar racking specifically designed to reduce your installation time. The SnapNrack system incorporates major technical and production advances to simplify and reduce the cost of solar installations. 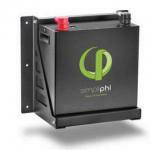 The SnapNrack system was developed in the field by a team of veteran solar engineers and installers. Their goal was overcoming the limitations of conventional racking and ensuring a quick, efficient installation. The SnapNrack system has been engineered from the ground up to ensure maximum standoff adjustability for a clean, level installation on even the most irregular roof surfaces. And every roof penetration gets a full metal flashing to ensure worry-free waterproofing for the life of the system. Tilt? Ground mount? No problem! The SnapNrack system allows you to easily configure a racking solution for any tilt. Or, sink pipes in the ground for a perfect ground mount. For tall tilt angle requirements the rails double as legs, simplifying in-field design.